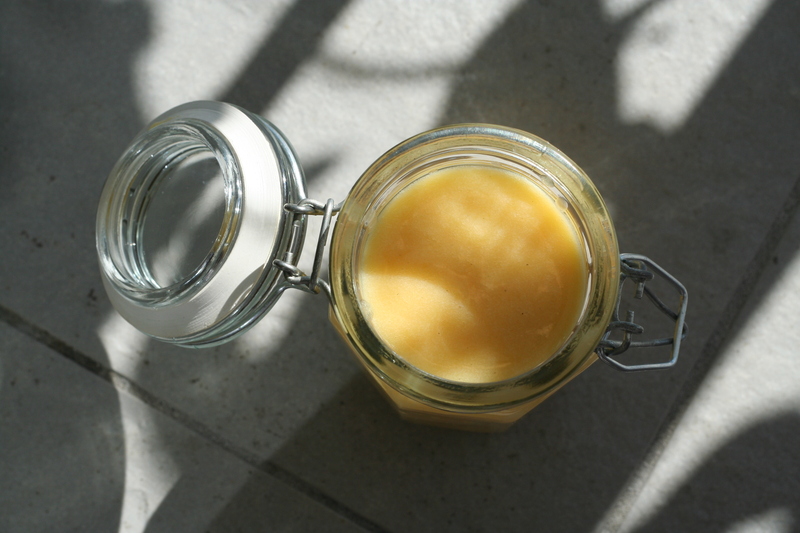 As promised, here is the grapefruit curd recipe. It is very flexible and I would recommend you alter the amount of sugar to suit your tastes. If you prefer a more tangy, bitter curd use 1/3 cup sugar instead as I found these measurements quite sweet. The grapefruit makes for a nice change from the traditional lemon curd but I’ve also made a number of others in the past including passionfruit and raspberry. I think I may have to attempt lime curd next! As with any other curd, it goes fantastically with baking (such as these cupcakes) but also on toast, yogurt, cereal… whatever you dare to try. I have one more recipe using this curd coming up soon and then I promise to stop talking about grapefruits for a while! 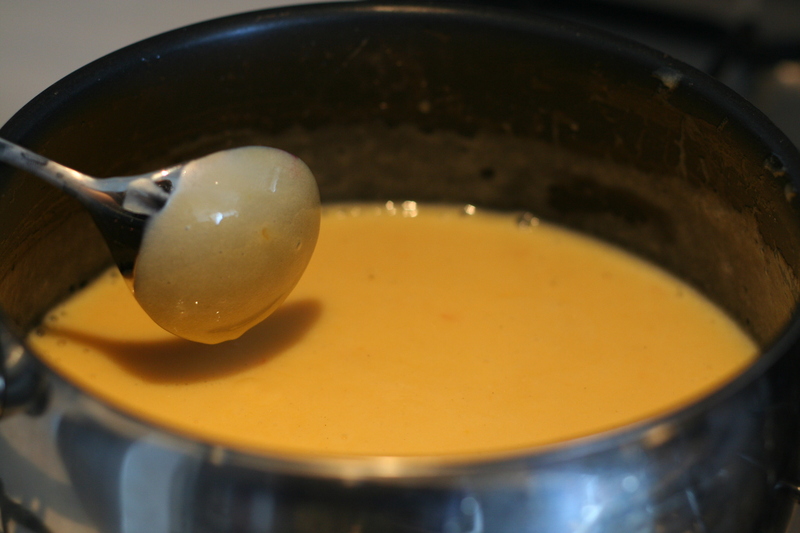 Combine the eggs, lemon juice and sugar in a medium saucepan and stir until mixed. 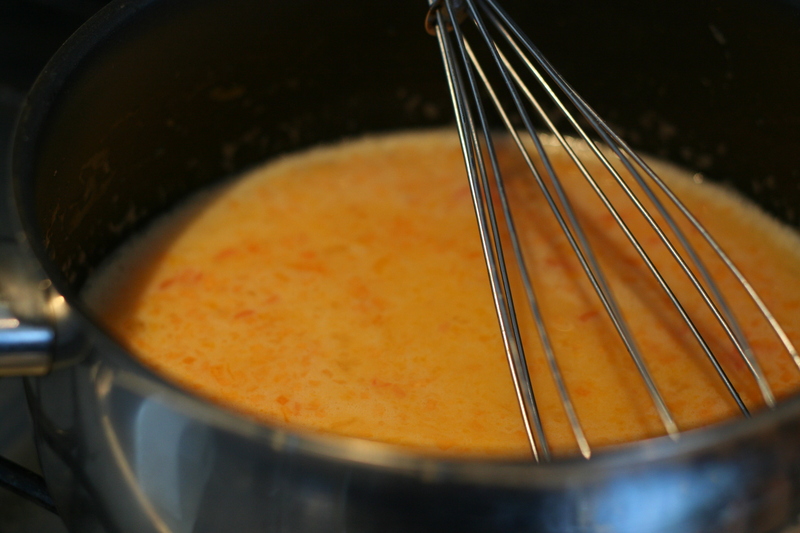 Add the grapefruit juice, zest and butter and heat slowly over a low heat, stirring constantly. Do not heat too quickly or the egg will curdle. When ready pour through a fine sieve to catch any cooked egg strands. Cover and refrigerate until cold. 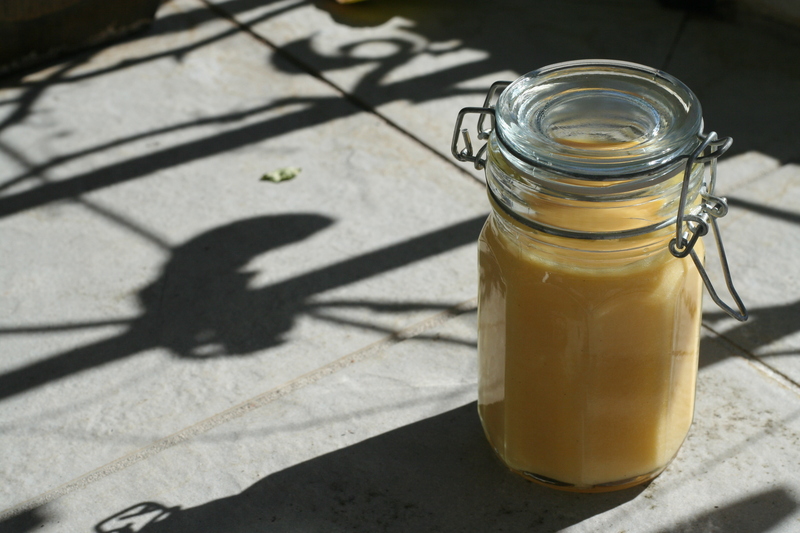 If you want to bottle the curd for gifts or storage make sure you sterilize your jars first. I found this recipe made for nearly 2 full jars of curd. Yum, this sounds amazing… I never thought of making curd from anything other than lemons! I’ve never made grapefruit curd. Only blueberry, orange, passion-lemon, raspberry etc. Love them though!